Annie Laurie Wood Annex (the Annex) – up to 60 people seated and up to 75 standing. Flex Room – up to 15 people seated in rows, maximum 12 seated at tables. 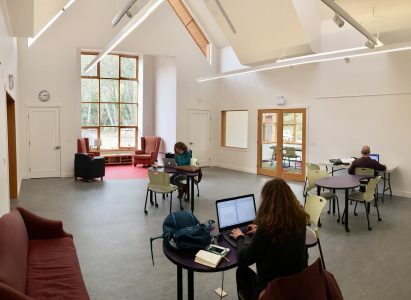 The rooms are available for rental by outside groups and individuals when not required for library use. Information package – Please read before booking. Space may be held pending payment. Your booking will be confirmed upon receipt of full rental payment. 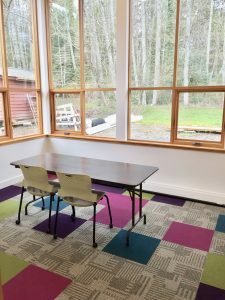 There is also a full kitchen available for rental with either the Annex or the Flex Room.